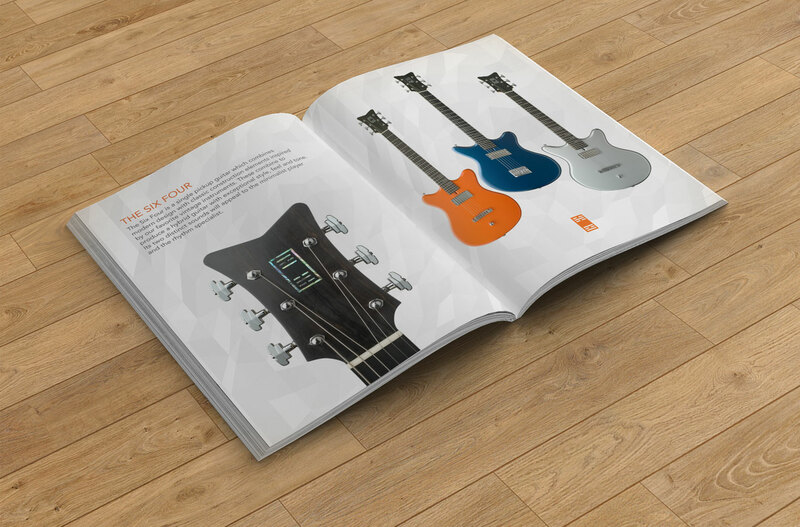 Centerline Guitars is a San Francisco-based luthier, specializing in customized high-performance electrical guitars and basses which fuse old-world design principles with the newest technology in electronic sound engineering. Their business model is centered on the individual, eschewing traditional mass marketing techniques. With no website or social media presence, they rely on a strong brand and impeccable reputation. 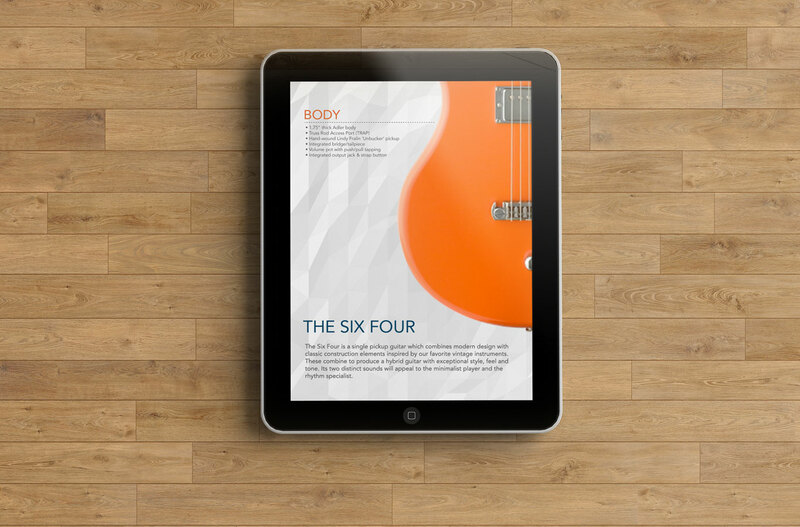 Word-of-mouth within the musical community is their bread and butter. Their marketing efforts focus on presence at specialized boutique conferences where they can put their products in the hands of industry influencers. 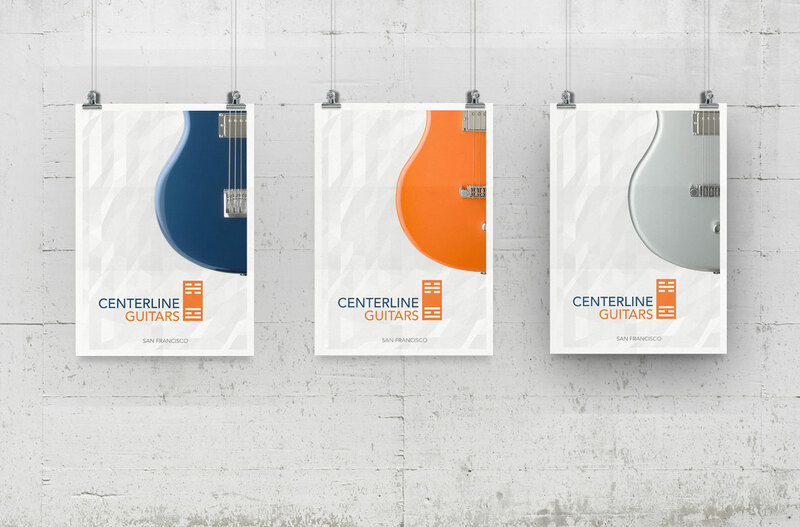 To support these efforts, we created an elegant and simple brand look for Centerline and its conference materials, which include posters, digital product sheets, and a product catalog. The logo is inspired by the 64th hexagram of the ancient Chinese I-Ching, which is itself embedded in mother-of-pearl in each of their instrument's headstocks. To capitalize on the inherent beauty of their product, we used photographer Peter Belanger, best known for his light-and-shadow magic with Apple products. We used carefully cropped angles of Belanger's beautiful shots to both highlight the instruments' elegance and create stunning negative space.